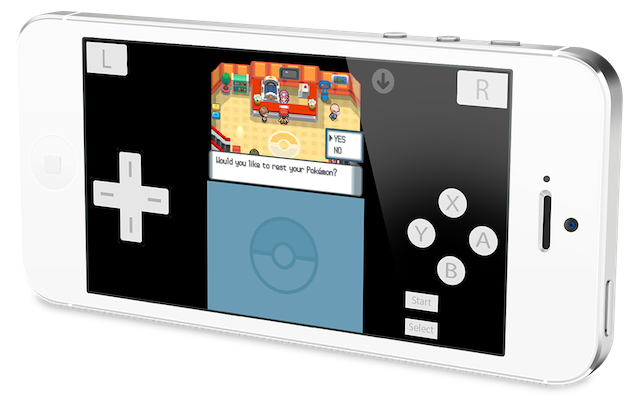 Over the past several months we have seen a bunch of emulators for iOS. Karen Tsai’s nds4ios is the latest emulator, which allows users to play Nintendo DS games on iOS without the need for jailbreaking their device. Step 1: Start the nds4ios download by clicking the following link from mobile Safari. – Open Settings, and go to General. – Change the date to February 8th, 2014! – Then tap on Edit, then Add. – You should see 2 different packages show up. – nds4ios (Stable) is the build that is guaranteed to work, and not act funny. It is updated at a slower pace. – nds4ios (Testing) is a bleeding-edge build that just builds whatever is on the Git repo at the moment. While this build is generally usable, sometimes hilarious UI bugs may occur. It is updated at the most frequent pace. In February, GBA4iOS 2.0 was released, bringing the ability for iOS users to play Game Boy Advance games on their device without a need to jailbreak. Ben Midi’s Gameboy was also released around the same time, which allows users to play Game Boy classics directly on your iOS device by visiting this link using mobile Safari. The emulator works particularly well when you are playing on an iPhone in landscape mode. Around the same time, iOS developer Conrad Kramer released webNES, which allows users to play Nintendo NES ROMs on their iOS device without a jailbreak. If you are interested in how to set up webNES, be sure to check out our how-to article here.